Anton-Rudolf “Toni” Piffer was born on 16 May 1918 at Zirol in the Tirol region of Austria. He joined the Luftwaffe in 1938. On 3 April 1942, Piffer was posted to JG 1 based in Holland. Feldwebel Piffer was assigned to 11./JG 1. He recorded his first victory on 19 September, when he shot down a RAF Mosquito twin-engine photo-reconnaisance aircraft over Osnabrück.  The unit was redesignated 2./JG 1 on 1 April 1943. 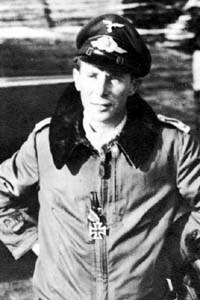 By the end of 1943, Oberfeldwebel Piffer had 17 victories to his credit. However, he had received wounds as a result of an emergency landing near Terwolde on 18 October, due to engine damage to his Fw 190 A-6 (W.Nr. 530 720) “Black 3”. He was wounded again in aerial combat with USAAF bombers and fighters on 11 November. On 8 April 1944, Piffer shot down a USAAF B-24 four-engine bomber near Salzwedel but was shot down himself in Fw 190 A-8 (W.Nr. 170 044) “Black 3”. He was wounded in the encounter. Piffer was promoted to the rank of Leutnant and appointed Staffelführer of 1./JG 1 on 1 May 1944. On 8 April, he was wounded over Salzwedel in aerial combat. He successfully baled out of Fw 190 A-8 (W.Nr. 170 044) “Black 3”. Piffer was required to make a belly-landing on 13 May, when he was rammed by a USAAF P-47 fighter. He was more fortunate than his opponent however, who crashed into the sea. On 16 June, Piffer shot down two RAF Spitfire fighters over the Invasion front. On 17 June 1944, Piffer was shot down and killed in Fw 190 A-8 (W.Nr. 172 604) “White 3” in aerial combat with USAAF fighters over La Cordonniere. He was posthumously awarded the Ritterkreuz on 20 October 1944. “Toni” Piffer was credited with 35 victories. All his victories were recorded over the Western front and included 26 four-engine bombers.